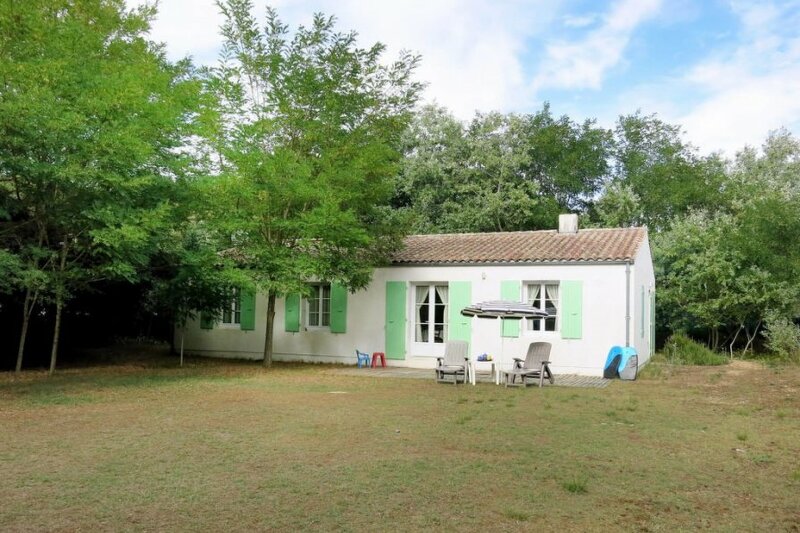 This 3 bedroom house is located in Cote Ouest and sleeps 6 people. The house is within walking distance of a beach. Detached house, 6 people, 4 room/s, 3 bedroom/s, 1 bathroom/s, approximately 100 m², 1 floor/s. Equipment: TV; DVD; washing machine, iron/ironing board; electric heating; storage room in the house. Heating if required, € 56/​week. Final cleaning by tenants or against payment, € 60. Linen/towels must be brought along. Bed linen available on loan, € 12 per bed/​week (on order). Towels available on loan, € 5 per person/​change (on order). Deposit € 300 (in cash, Visacard, Mastercard). Cot € 15 per stay (on order). High chair/​Baby bath each € 5 per stay (on order). Pet 1 pet allowed, € 15 per week (please advise prior to arrival; additional animals on request only). Access/parking: sand-track, approximately 50 m.
Estate (private use): approximately 1100 m², closed plot (fence), flat, trees, natural surroundings, meadow, sand. Outdoor facilities(private use): reserved open space, terrace (wood terrace), further terrace (wood terrace), furnishing provided (garden table, 6 chairs, 2 benches), sunshade, transportable barbecue. The agent describes this house as a family friendly holiday rental ideal for the summer holidays. It is also good value for money. This house is located in Cote Ouest. The nearest airport is 143km away. It is set in a very convenient location, just 0 metres away from a beach and only 3km away from the city center.